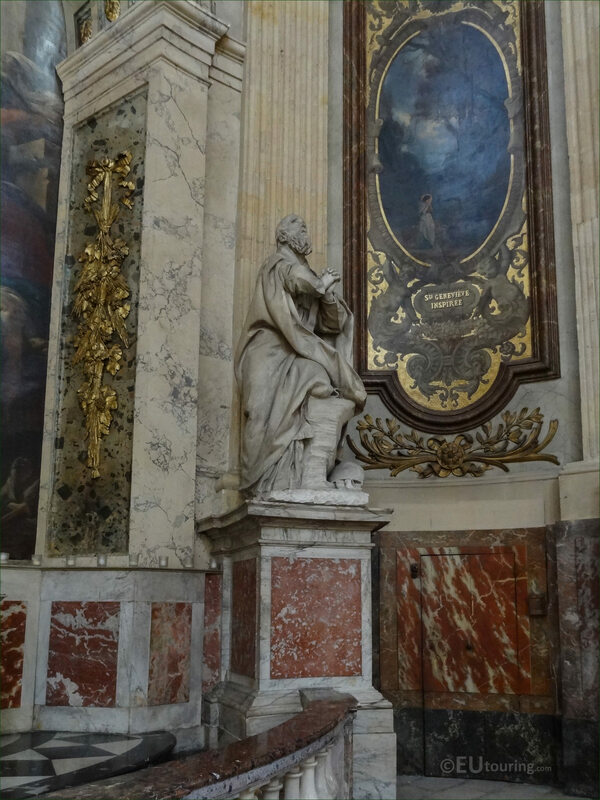 While we were within the Eglise Saint-Roch located in the 1st Arrondissement of Paris, we took these high definition photos showing a statue depicting Saint Francis de Sales, which was sculpted by Augustin Pajou. 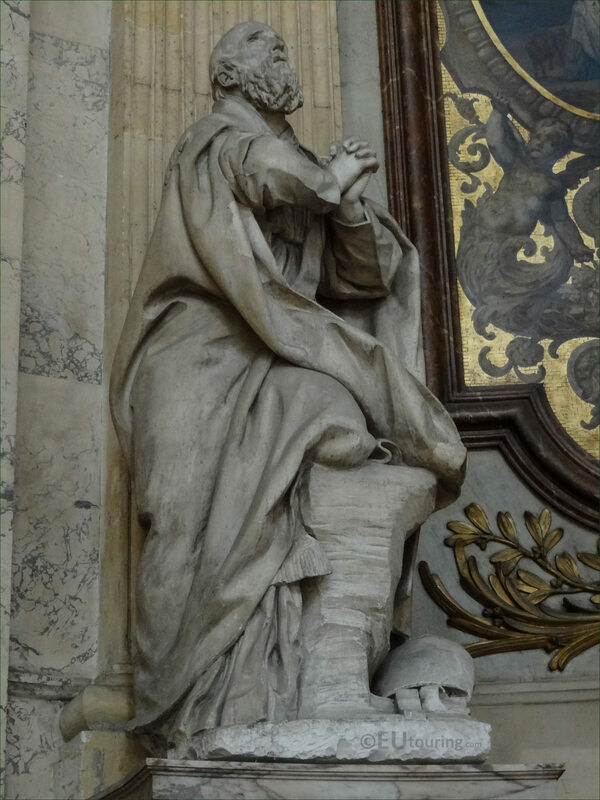 This first HD photo shows a statue depicting Saint Francis de Sales in prayer, and born in August 1567 to a noble family, and the first born he had a privileged education, as his father wanted him to become a magistrate, yet instead he decided to dedicated his life to God, even though he still studied law and theology, but while in Italy, Francis decided to become a Priest. Francis de Sales had to sign over his rights of family succession to his younger brother so that he could be ordained by the Bishop of Geneva, and known as a learned gentleman with a deep faith and gentle approach to religion, he was sent on diplomatic missions forging alliances with the Pope and King Henri IV, eventually being consecrated as the Bishop of Geneva. Pope Alexander VII beatified Francis de Sales in 1661, and then he was canonised four years later, becoming referred to as the Gentleman Saint and recognised for his writings, with his Catholic feast day originally being on 29th January, however, this was changed to 24th January, the day of his burial in 1623, although he passed away in December 1622. And this particular statue was produced by Augustin Pajou, who was born in Paris in 1730, initially studying and working with his father who was a sculptor, and noticing his talent, his father managed to get Augustin Pajou to enter the studio of Jean Baptiste Lemoyne at the young age of fourteen. Augustin Pajou won the Grand Prize for Sculpture, which became known as the Prix de Rome, at the young age of eighteen and upon his return from Italy worked at the Chateau de Versailles and other tourist attractions such as the church of Les Invalides and the Palais Bourbon, along with this stone statue for the Eglise Saint-Roch. 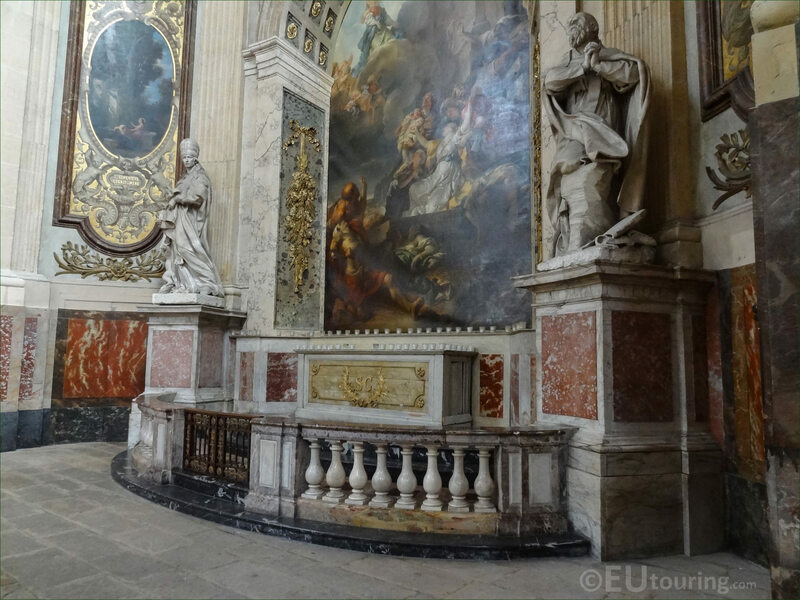 Now this particular photograph shows the entire chapel within the Eglise Saint-Roch called the Chapelle Sainte Genevieve dedicated to the Patron Saint of Paris, with the statue of Saint Francis de Sales located to the right hand side, and this particular chapel is also to the right hand side of the church in an area known as the transept, which you will see after entering from the Rue Saint-Honore and walking past the nave.